Use this as a guide when packing for your next cruise! It’s getting close to vacation time, and you need to put together your cruise packing list. You don’t want to be in the middle of the ocean wondering if you packed your phone charger or brought your camera. Your cruise packing checklist needs to be ready before the first item goes into your luggage. You are packing for your airline flights to and from departure port (comfy travel outfit), your time on the ship (you may need something formal), and comfortable excursion clothes. Not all cruises are as “evening” formal as in years past, and your cruise documents will tell you what is required. New to cruising? Click here to learn tips for first time cruisers! It’s a good idea to photocopy your travel documents and leave a set with family members. You can also email yourself a copy of your documents that is accessible whenever you can connect to the Internet. 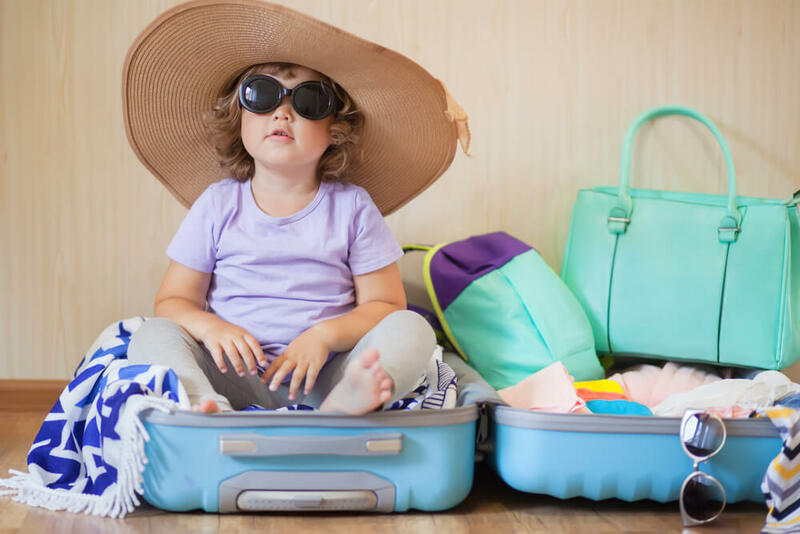 Guys, gals, and kids will all have different packing needs, and that means a packing list for a cruise is essential for each traveler! You may not need all the things in the following list, and you may need to pack things we haven’t included. We want you to use this as a guide and adjust to your family’s requirements. ATM card, credit cards, debit card (Notify issuing agencies that you will be traveling so your card will always be honored. Bring contact numbers in the event you need to report stolen cards. You be making excursions into towns, villages, beaches, and large cities. Comfortable walking shoes or hiking boots (when necessary) are essential as the surfaces you walk on may be cobbled, cement, dirt roads, rocky surfaces, or sandy. Check out the climate in your destination before packing in order to have comfortable clothing for all occasions.